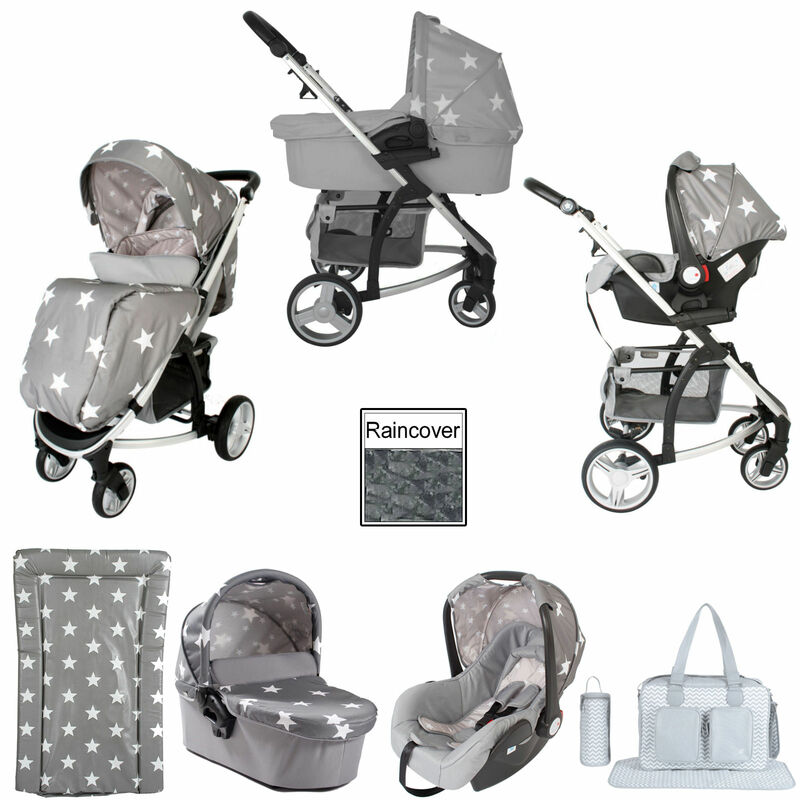 Providing you with a complete package of pushchair, carrycot, 0+ car seat, changing bag & changing mat, the MB200+ Travel System Bundle from My Babiie is an ideal solution for new parents. 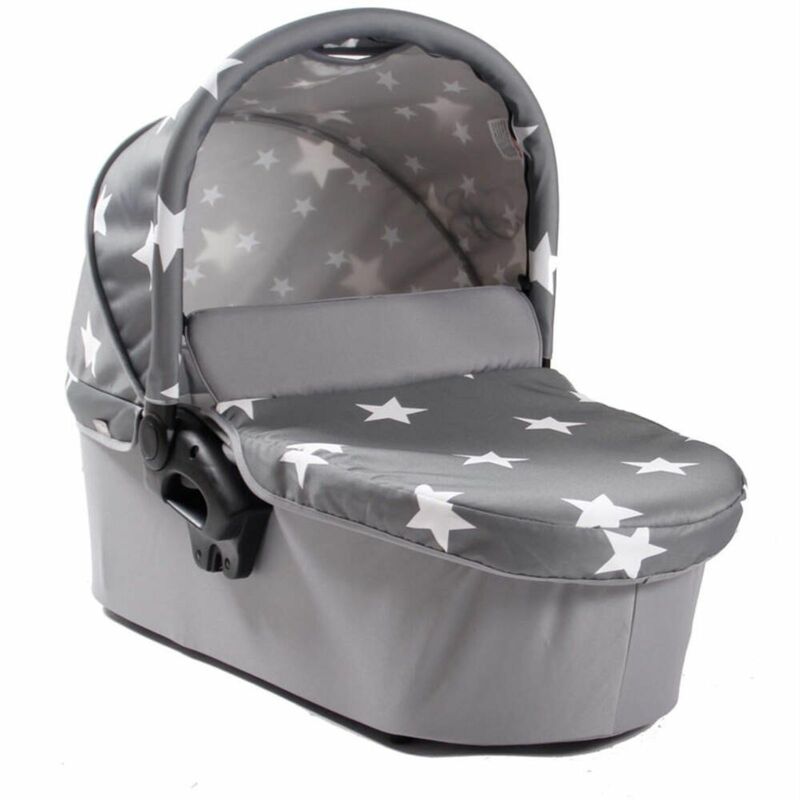 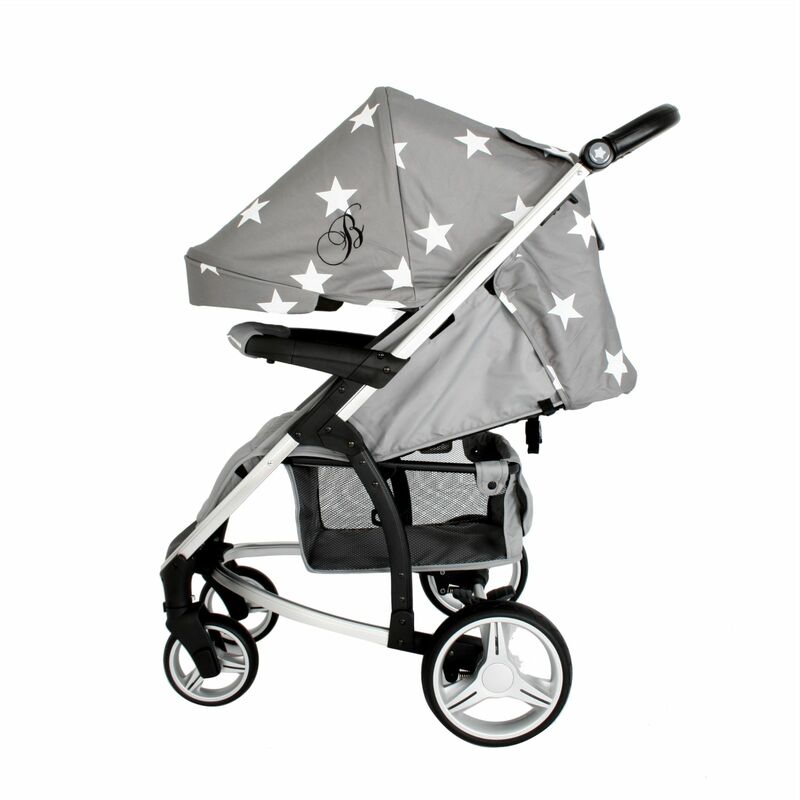 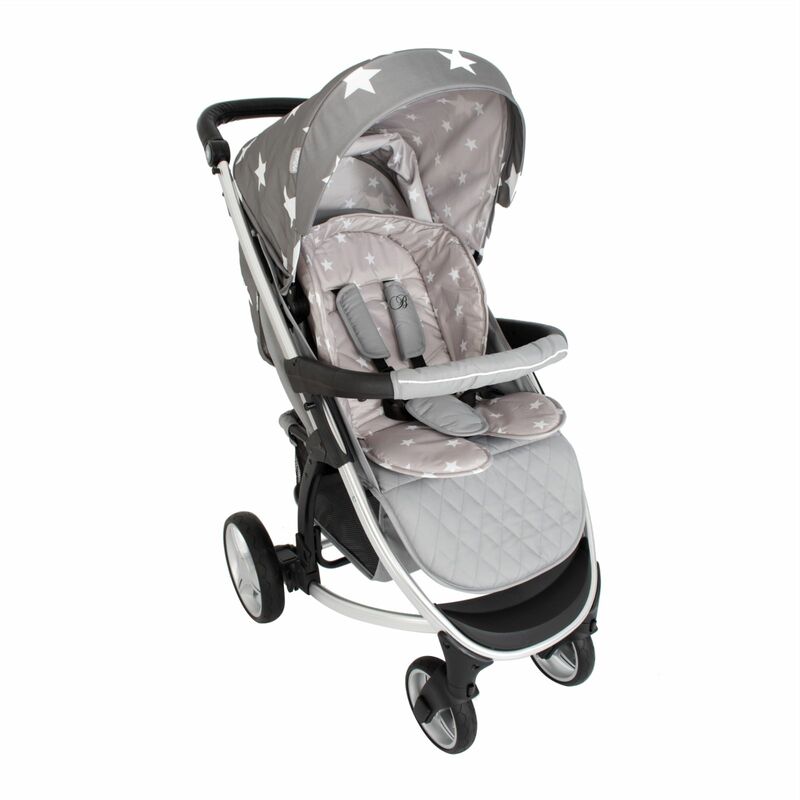 Part of Celebrity Mum Billie Faiers 'Signature' Collection, the 'Grey Stars' design is super-stylish and sure to turn heads anywhere it goes! 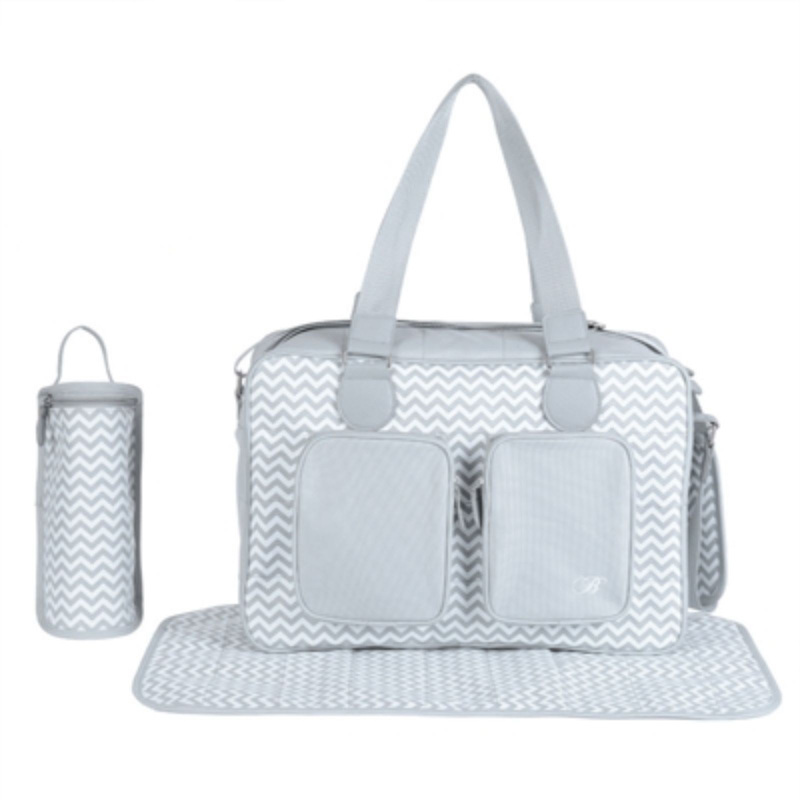 Complete with padded changing mat, insulated bottle holder and an insulated pocket inside the bag, the changing bag also features 2 external pockets, which (along with the spacious interior) provide plenty of space for you to keep all your essentials organised and close at hand. 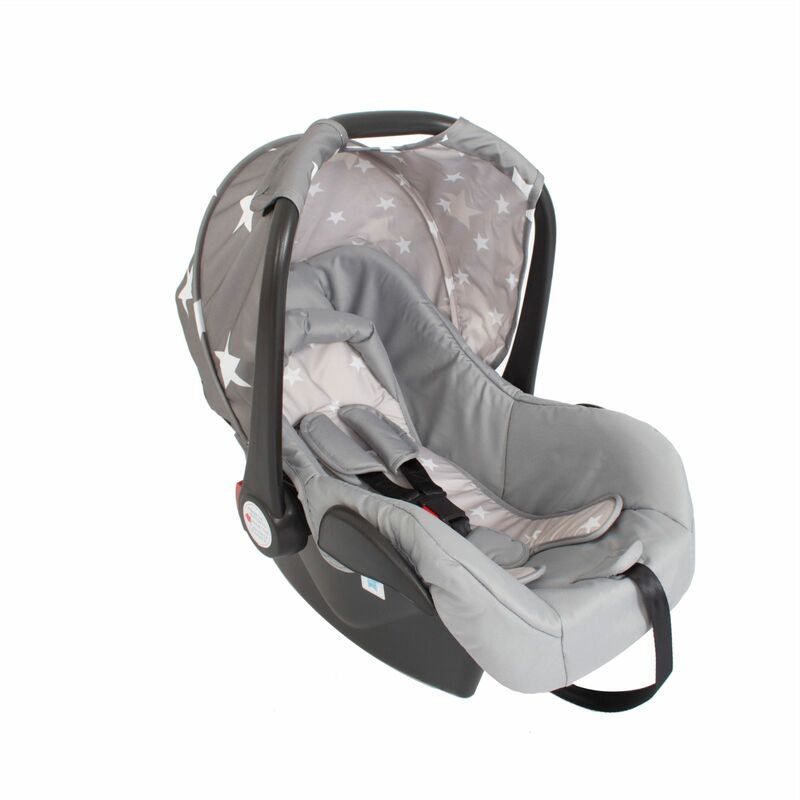 Equipped with both carry handles and a padded adjustable shoulder strap, the bag is as comfortable to wear as it is easy to carry. 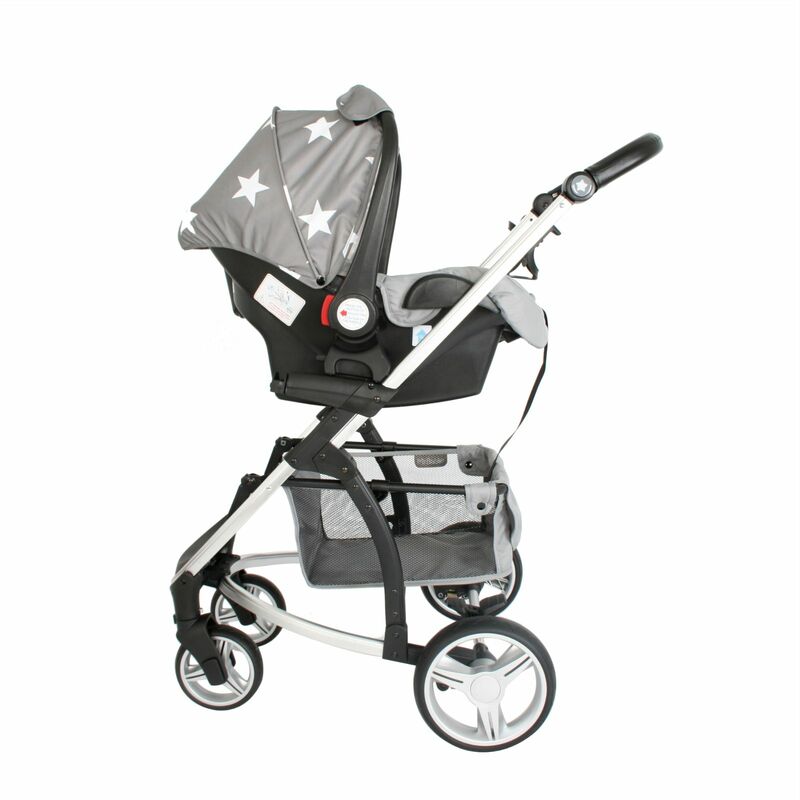 It is made from a strong durable material and features luxurious leather detailing on the handles and zips. 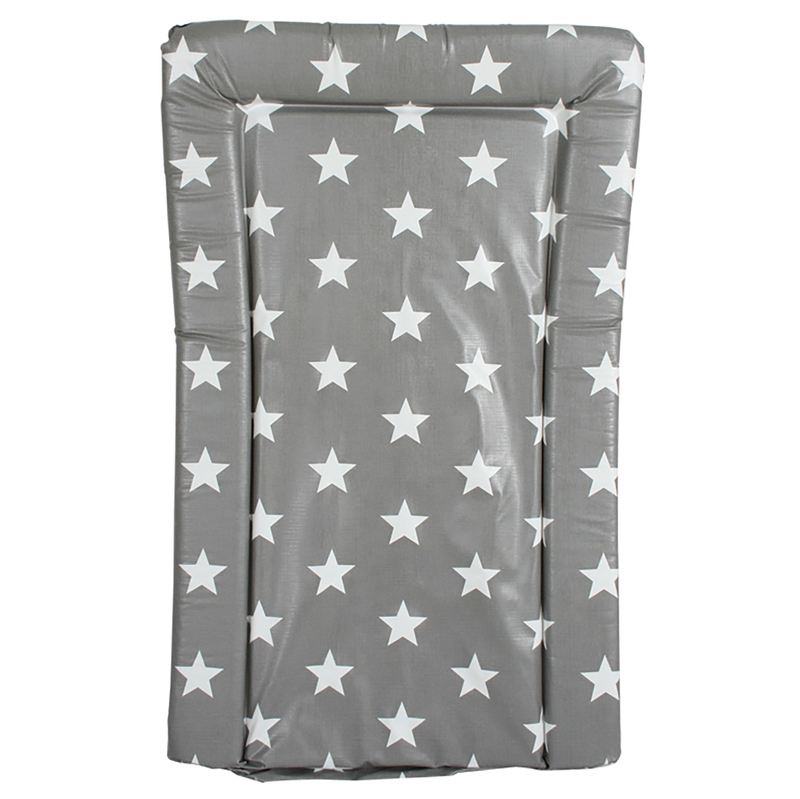 The funky patterned changing mat is luxuriously padded for comfort, feature raised sides for safety and are made from a non toxic PVC which can be wiped down easily for convenience and hygiene.